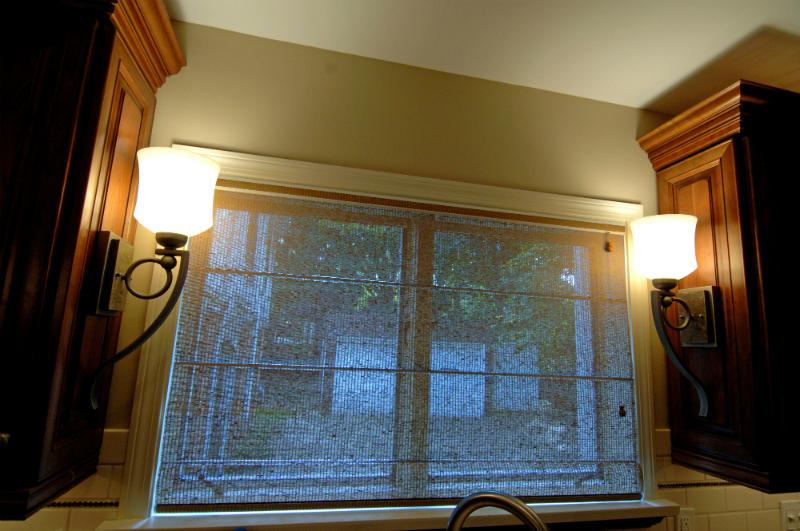 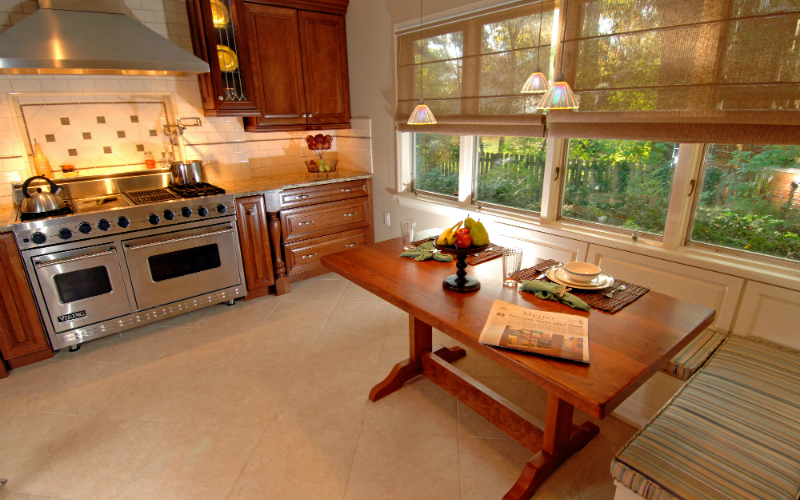 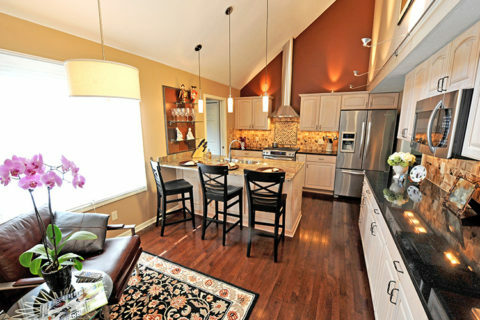 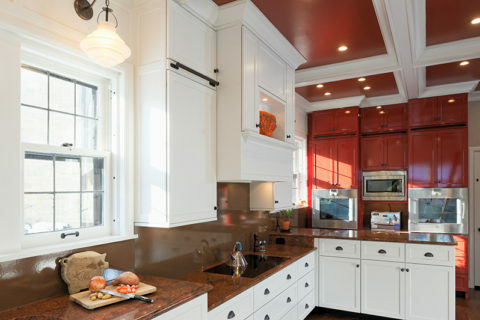 Hardworking Kitchen that Captures a Rare Cleveland Commodity...Sunlight! 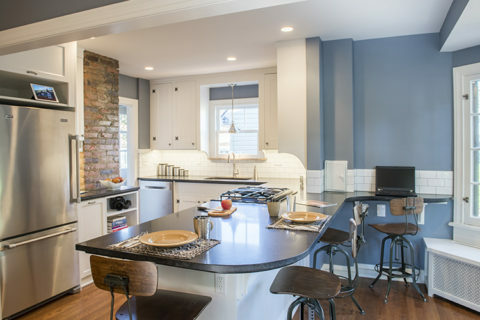 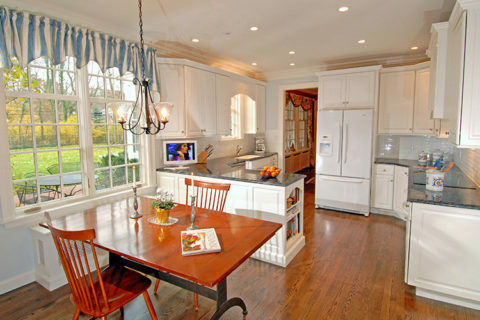 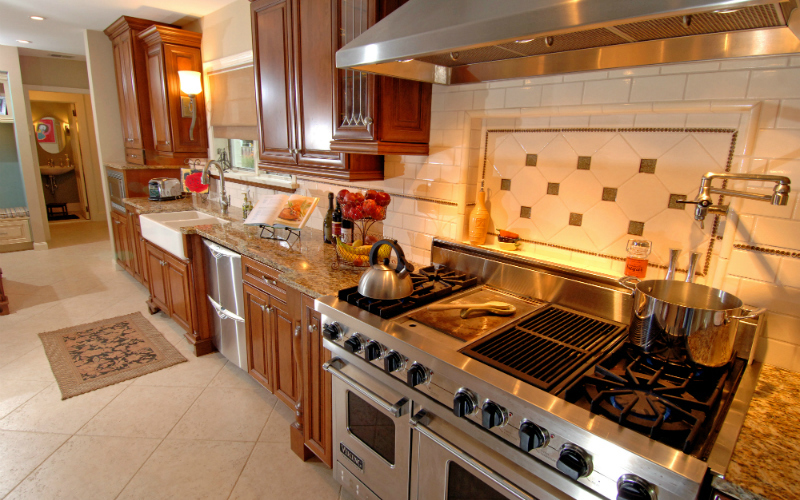 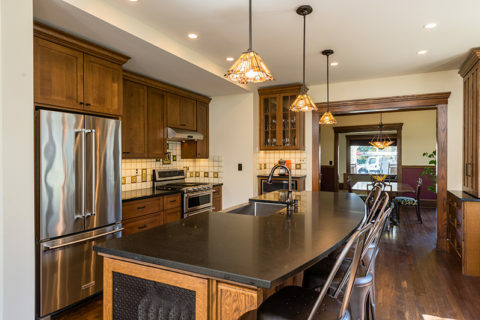 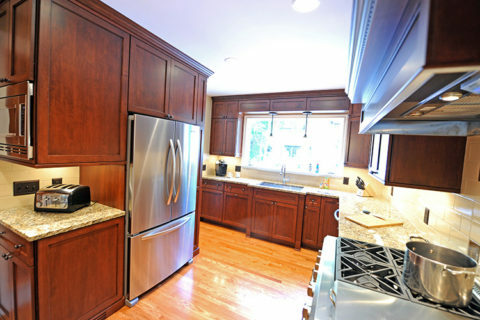 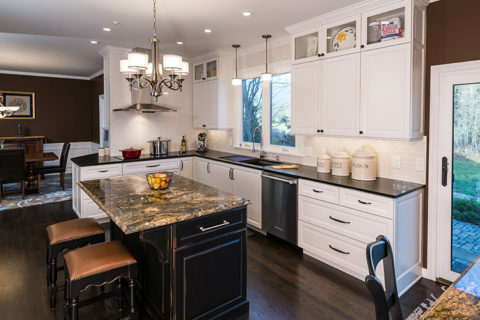 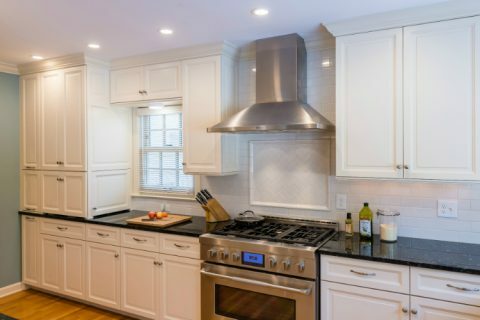 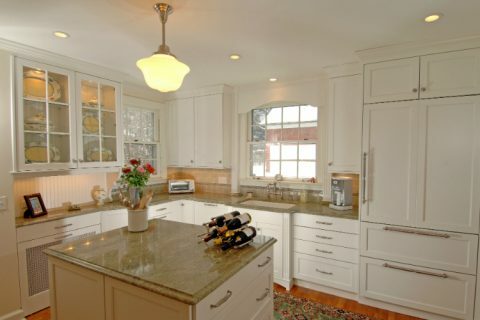 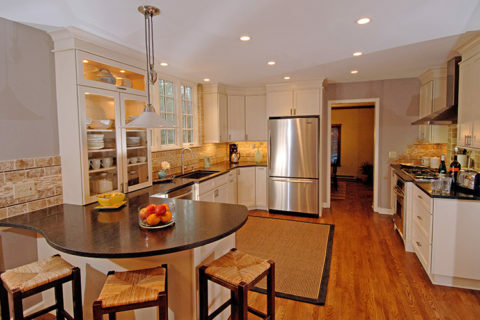 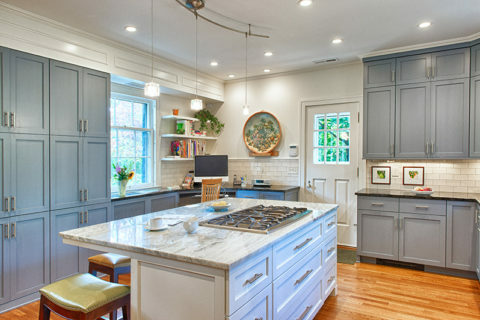 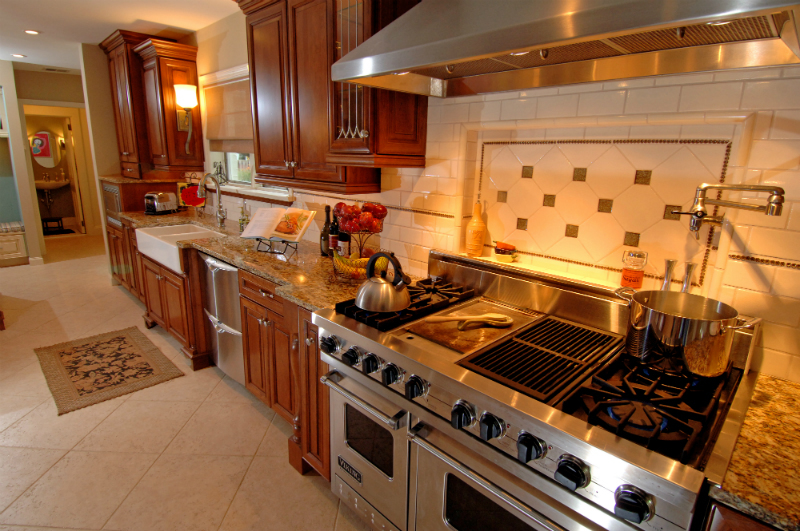 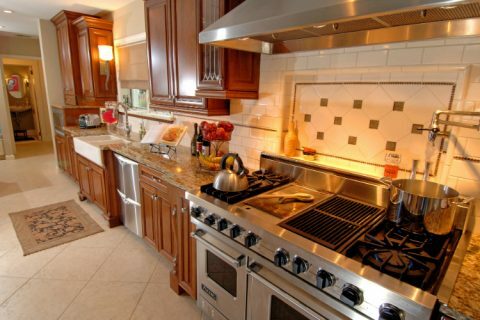 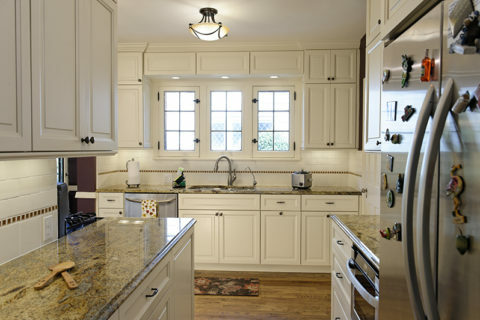 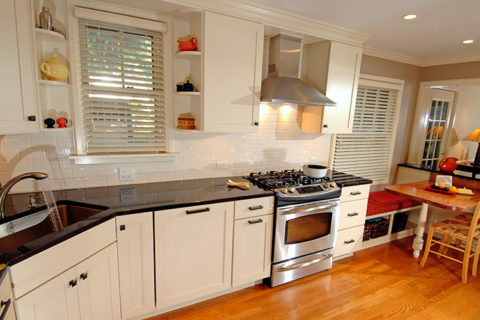 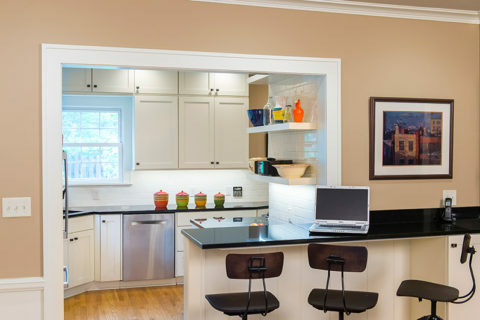 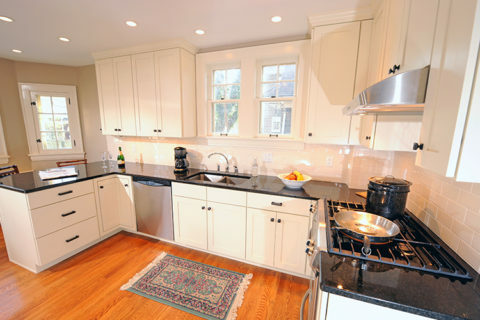 This kitchen remodel of a 1919 Shaker Heights home features a 48″ Viking range as the main focal point, a custom banquette, and a traditional Shaw sink that is complemented by a modern Fisher Paykel double drawer dishwasher. 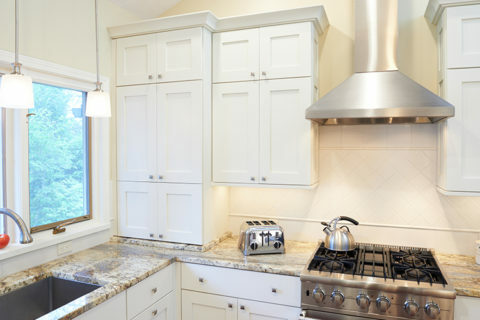 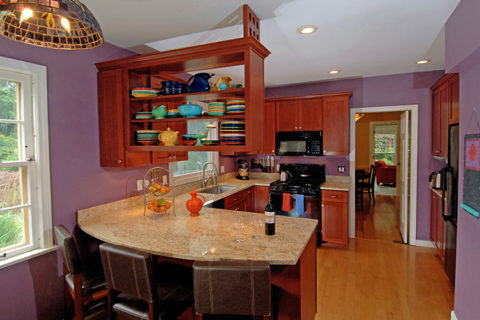 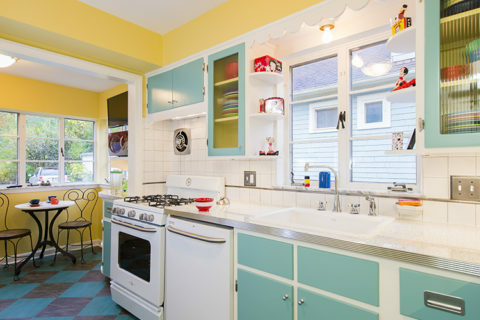 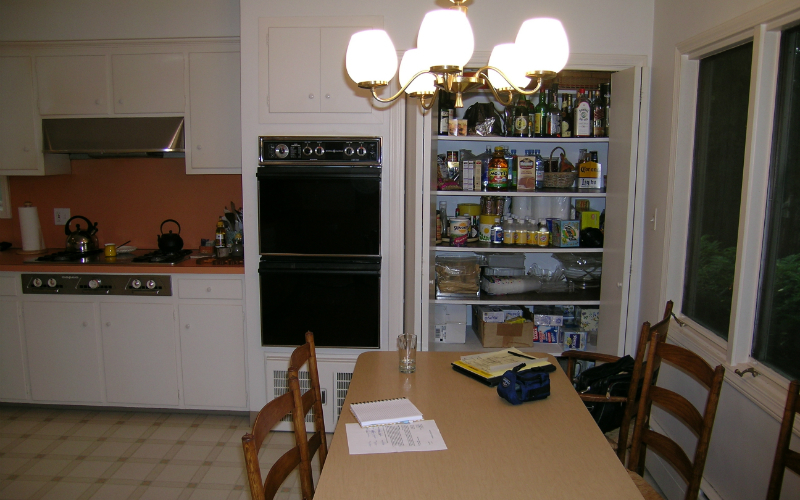 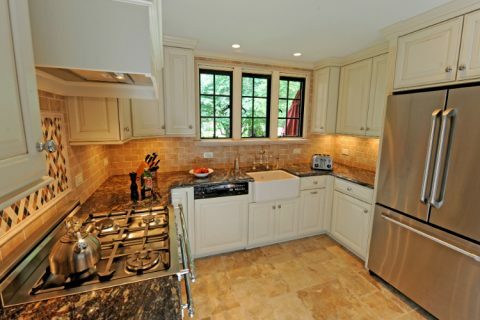 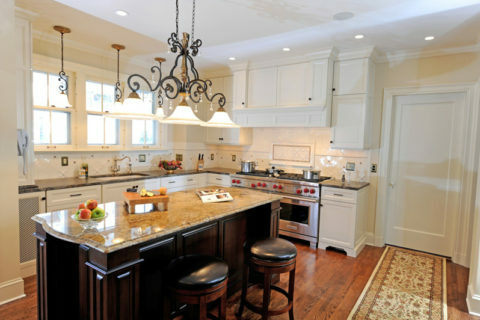 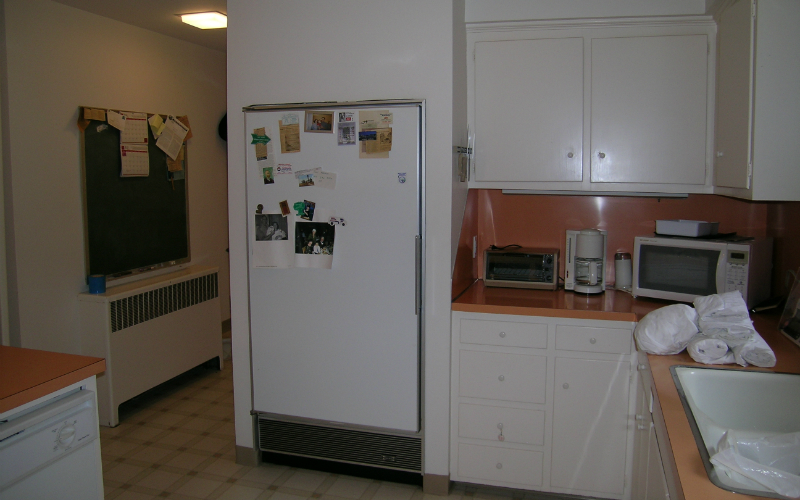 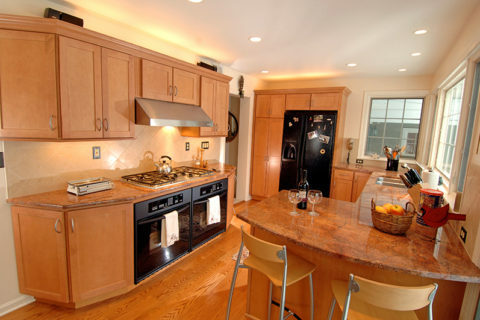 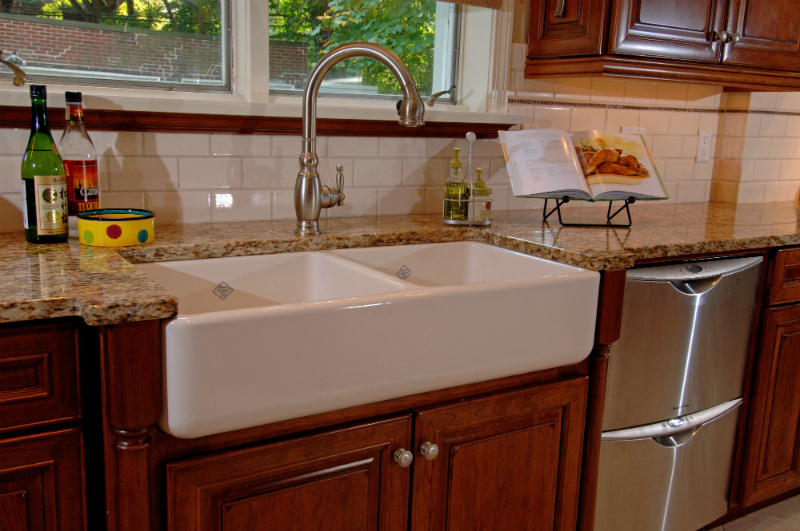 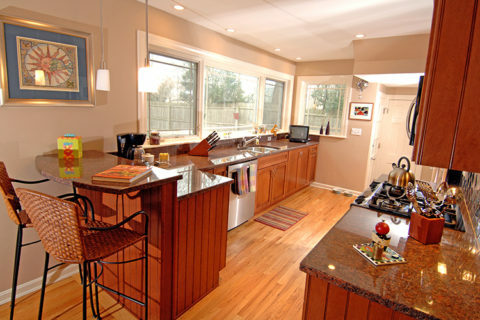 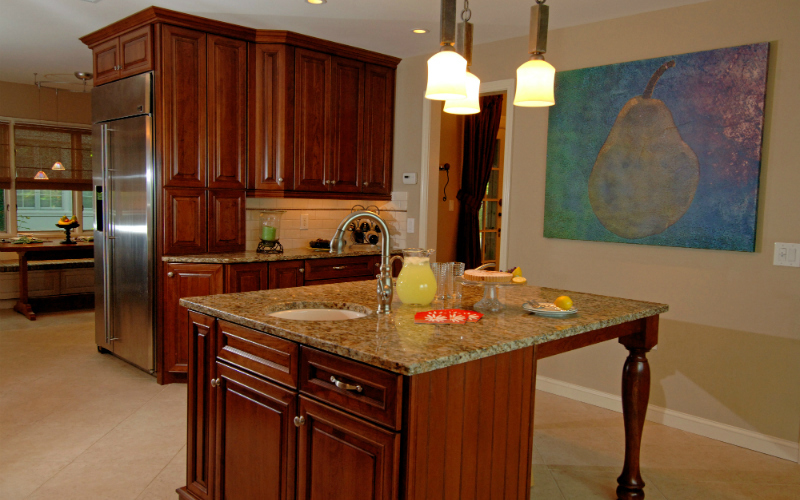 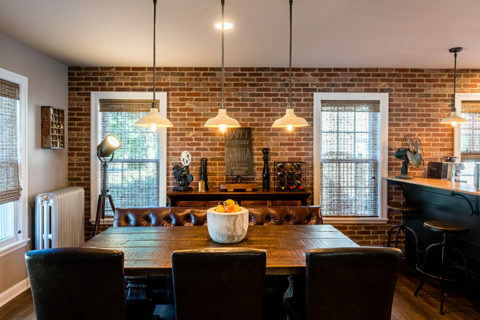 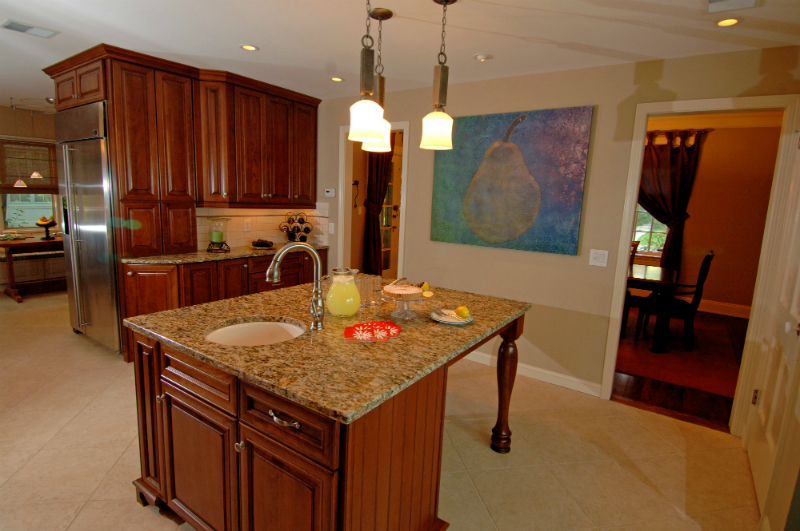 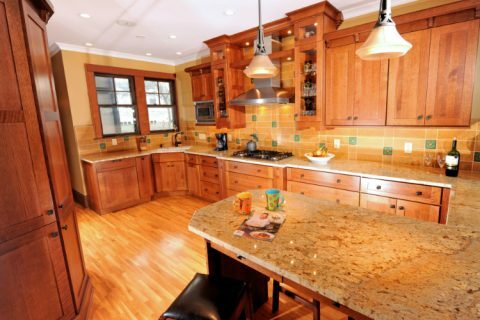 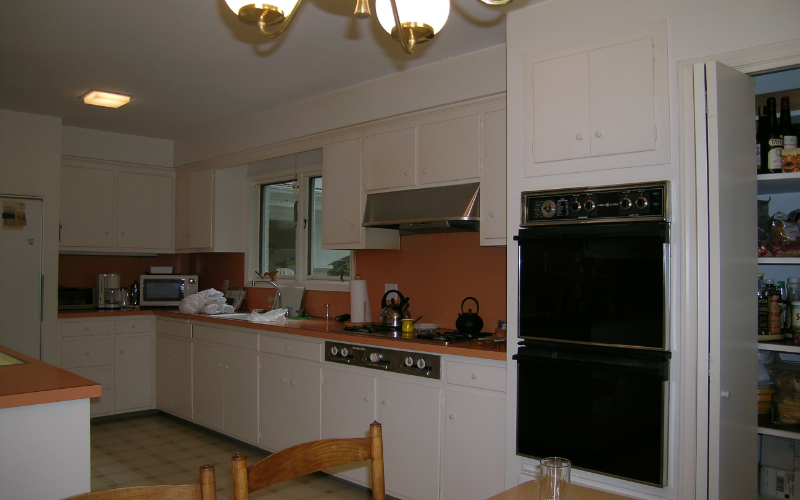 Other features of this kitchen include an island that holds another undermount Shaw sink and comfortably seats four people and a comfortable corner of the kitchen to look up a recipe or help a child with homework. 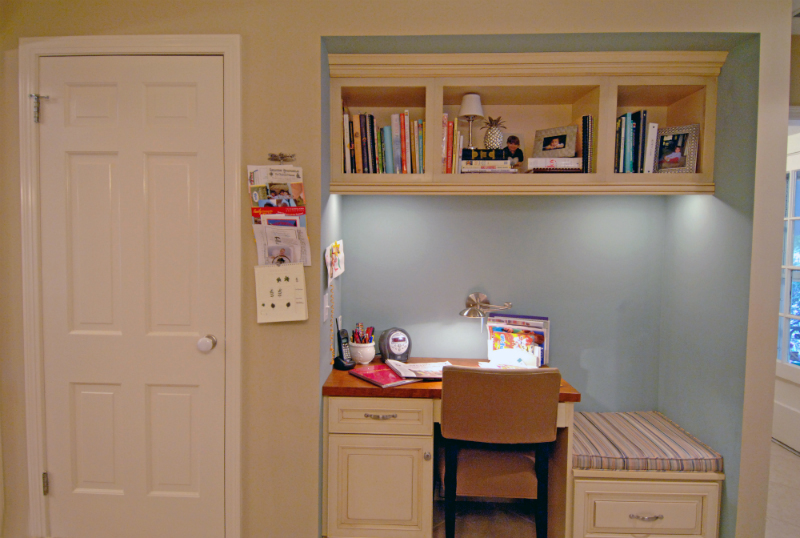 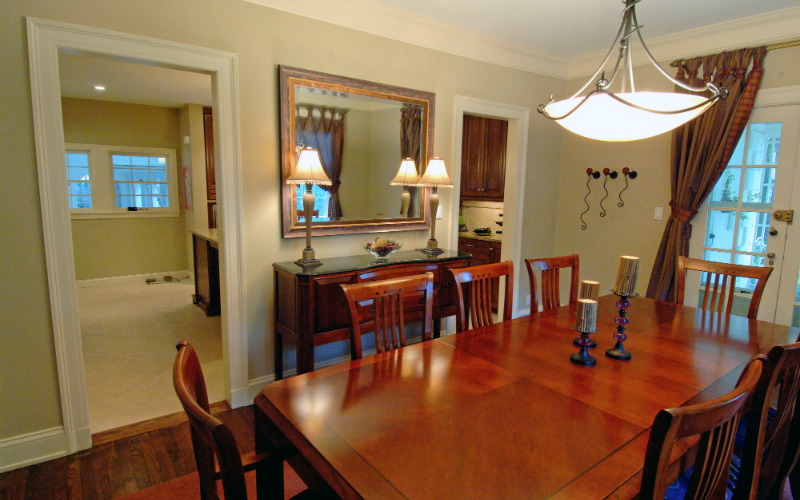 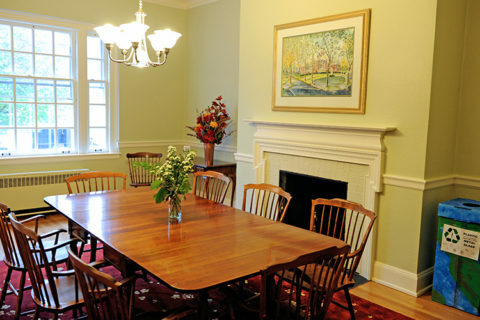 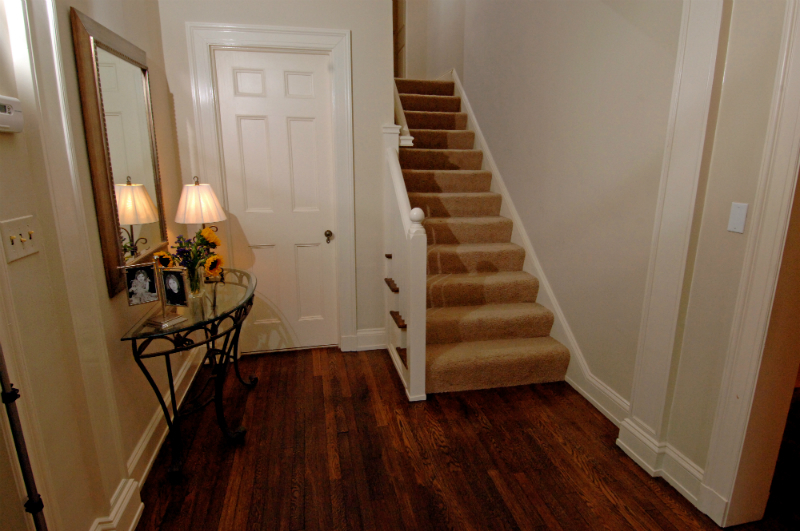 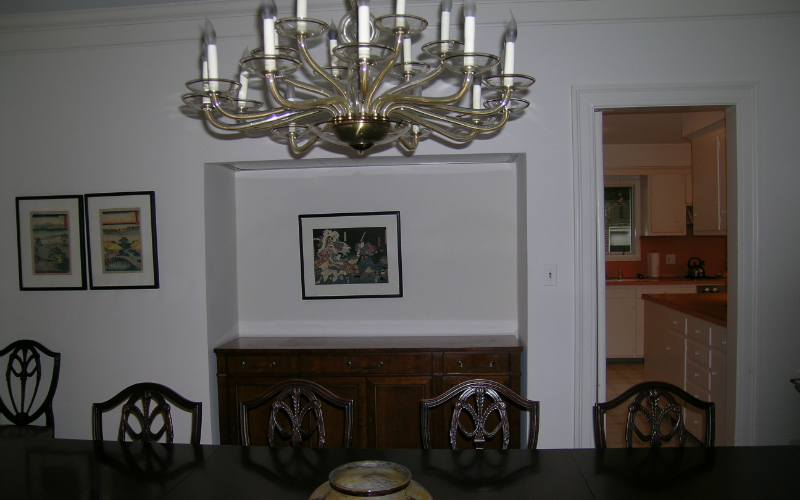 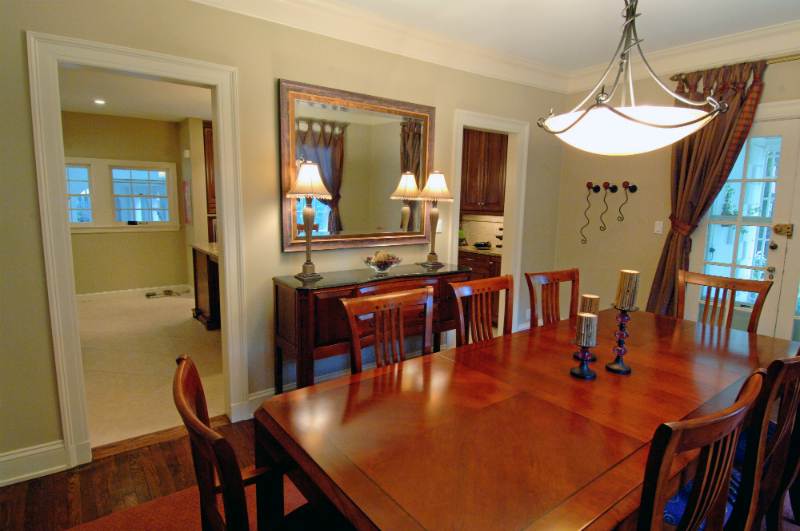 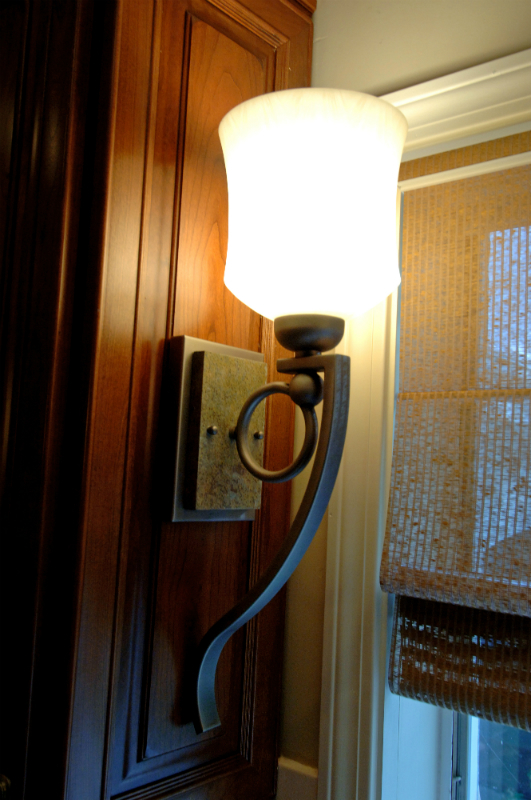 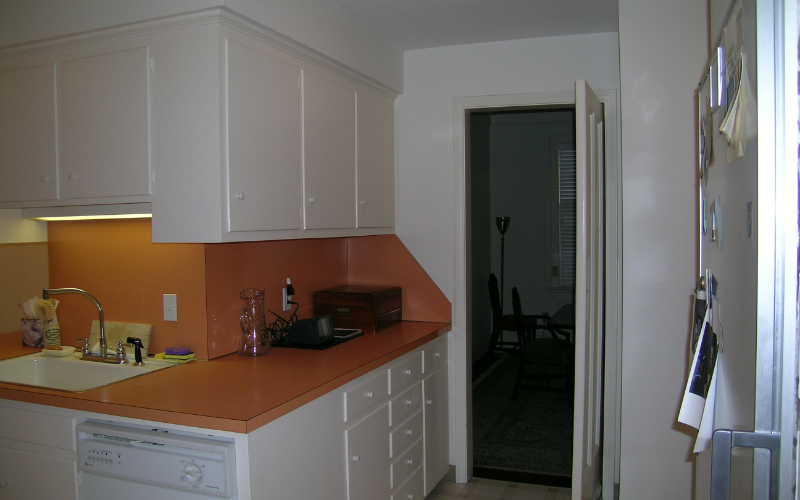 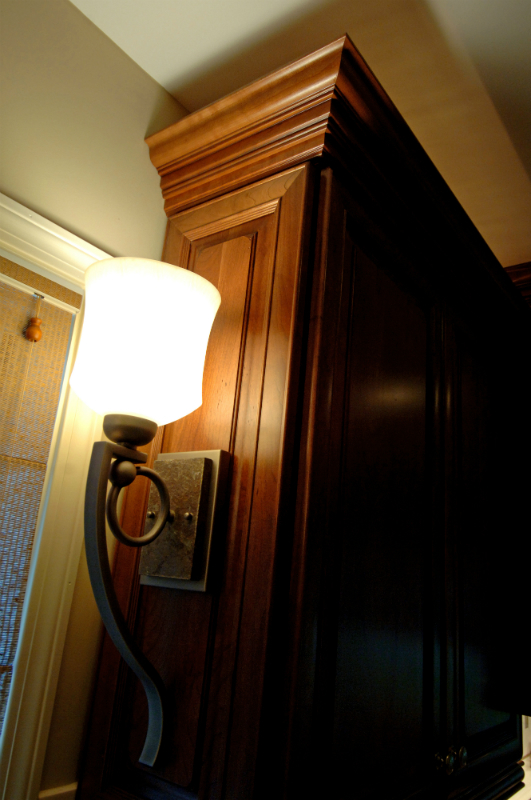 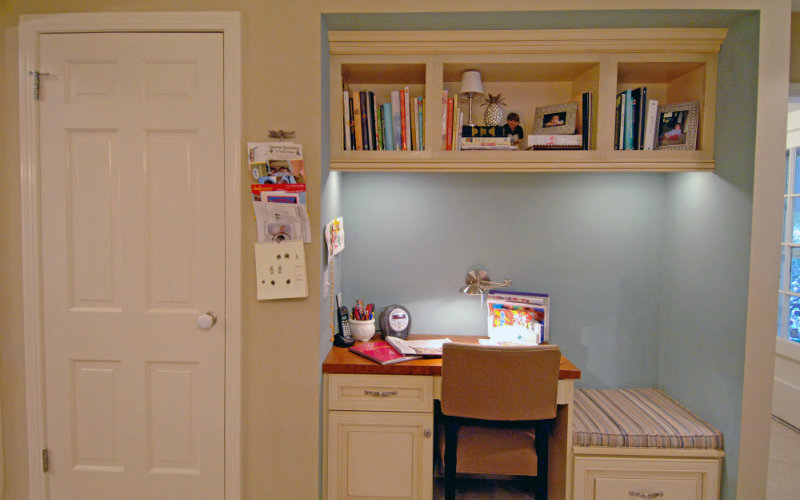 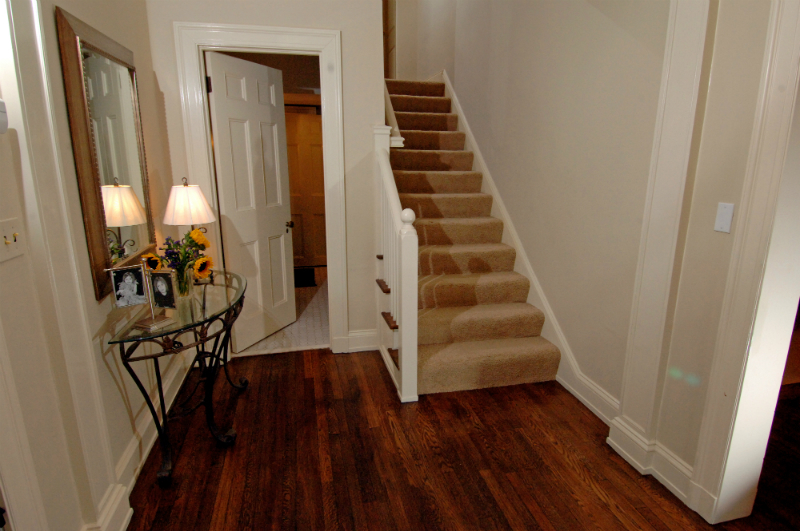 After removing a stairway landing, a second entry was installed between the kitchen and dining room. 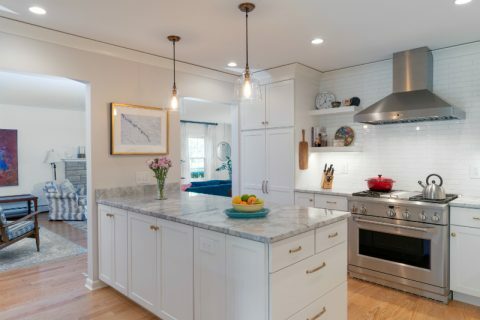 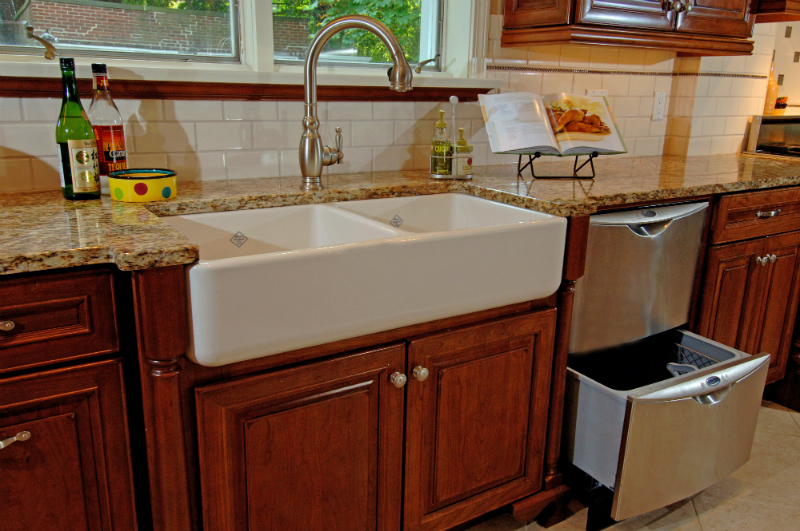 Features: A 48" Viking range, traditional Shaw sink, a Fisher Paykel double drawer dishwasher, an island that holds another undermount Shaw sink, and a homework nook.